“If a car’s not worth driving, it’s not worth building” This motto completely describes Mazda as a company. 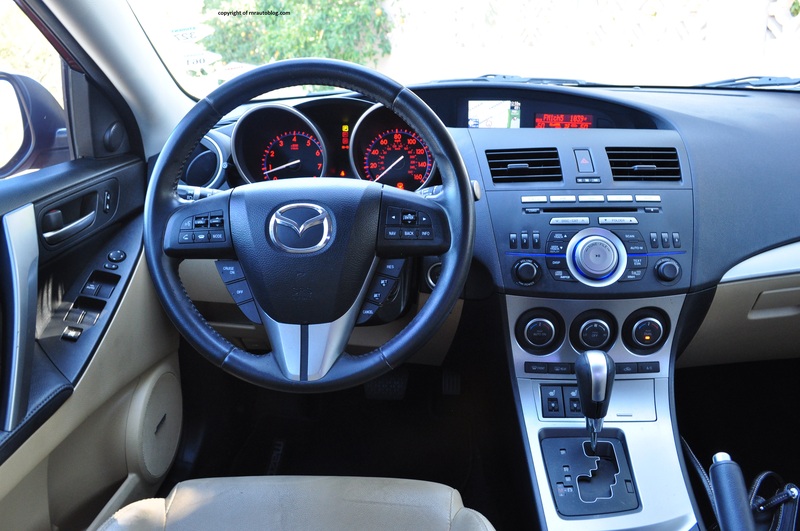 Mazda prides itself on driving enjoyment, as reflected by the availability of the manual transmission on all its cars including the 5 minivan, CX9 excepted and its focus on sheer driving enjoyment. Mazda strayed from its ordinary mainstream image as soon as it adopted a numerical naming scheme for its cars. 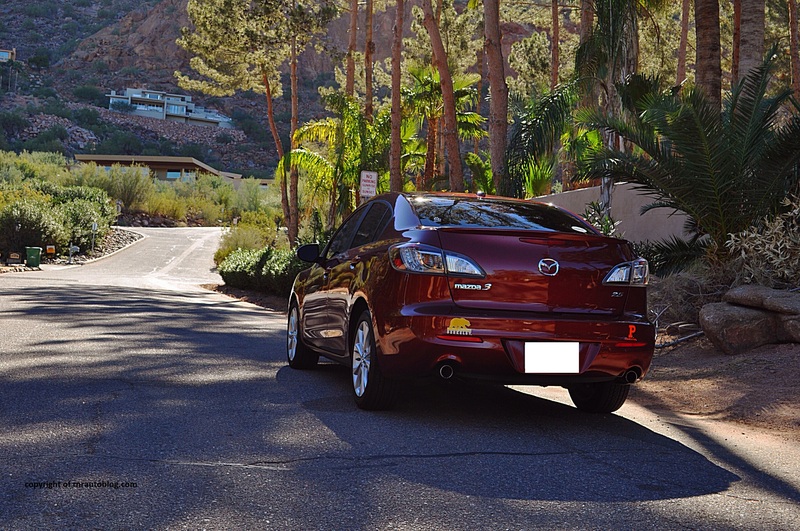 The Mazda3 replaced the mundane looking but somewhat fun to drive Protege, while the 6 replaced the forgettable 626. Ford and Mazda shared an operating agreement that Ford would use Mazda’s engines and chassis, while Mazda would get Ford’s facilities. The deal fell through a year or two ago. There were reports that Mazda would go under. Mazda is a small company that builds cars in Japan, which is less than ideal due to the yen and the cost of transporting the cars across the sea. Mazda came through. How? Two words: KODOS, and SKYACTIV. These two terms represent Mazda’s comeback. 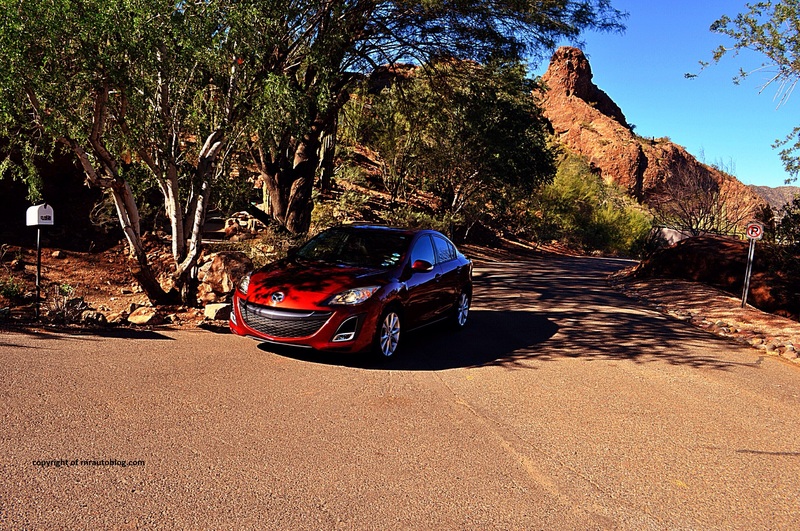 Mazda adopted a new design language and new fuel efficient engines and transmissions, which has propelled Mazda to the spotlight in terms of design, engineering, and driving performance. The CX5, 6, and the newly launched 3 are examples of this company’s rejuvenation. To be honest, I prefer the first 3’s design. This 2nd generation 3’s styling looks similar to the old one. In other words, it builds on the styling’s virtues while also introducing a big notable flaw. I have to be honest, what was Mazda thinking when they introduced the questionable front fascia? 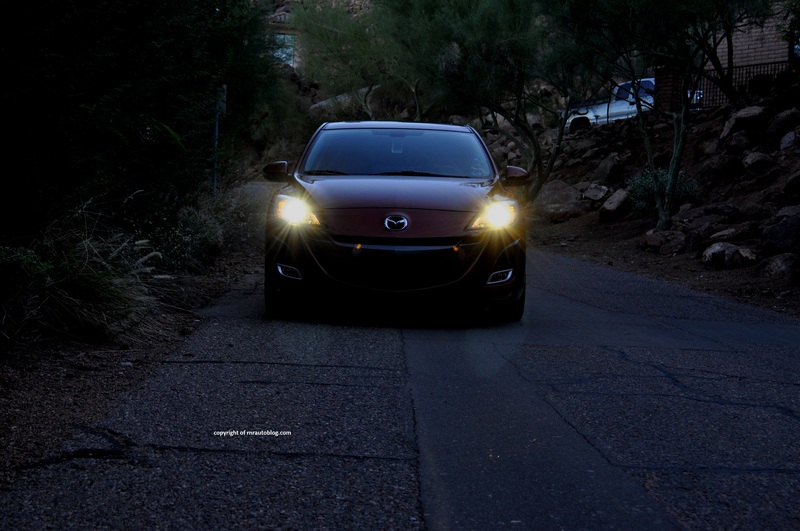 This front design, which makes it seem like the car is smiling at you, was carried across the whole Mazda brand. Not anymore. Other than that, the design is pleasing. The car has a taut appearance to it, furnished by furrowing head lights and sharp looking wheels. The proportions are dead on, and the car conveys a sense of sportiness, accompanied by a relatively sharp roof line. A modest spoiler accentuates the rear. I love the Copper Red Mica color. 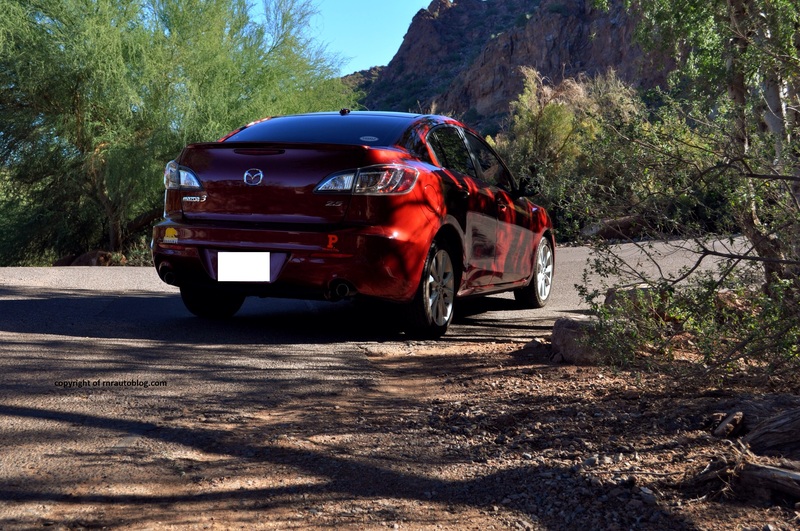 It brings out the car’s curves, and it is of a beautiful hue. It has the ability to look red, orange, or in some instances, purple. The rear lights are a bit too large for my taste, but overall, the design is bold and sharp. The interior design is attractive too, with racy dials and appealing lighting. Cool fact: the blue line running through the audio controls pulsates. The navigation is too small though, and there are way too many buttons on the steering wheel. Overall, the interior is a nice balance of functionality and attractiveness. 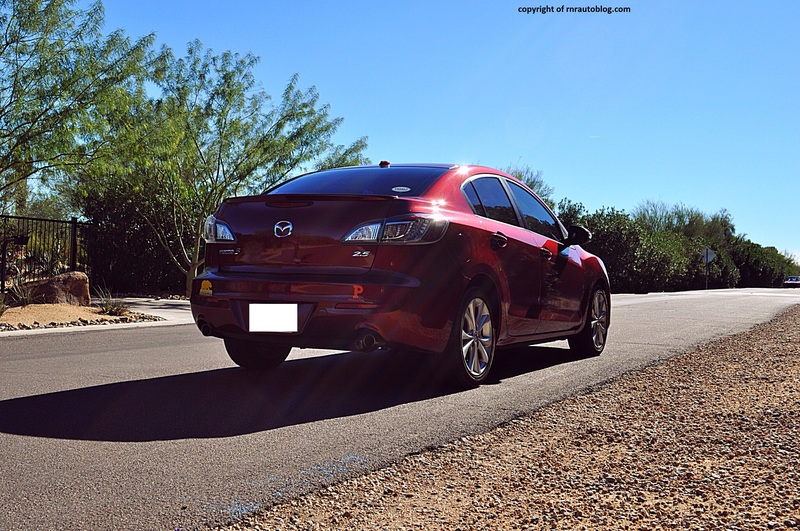 In the Ford Focus review, I stated that the Mazda3 is my favorite compact sedan to drive. After driving this car, I stand by what I stated. Driving pleasure is where this car really excels. The steering is brimming with feedback, so I always know what the front wheels are doing. The steering weight and precision are spot on. The steering is the perfect balance between light and heavy, and the steering is close to a laser in terms of precision. Turn the wheel sharply, and the car reacts accordingly. Tire grip is excellent, as you can turn the car at high speeds, and it will stay on course. 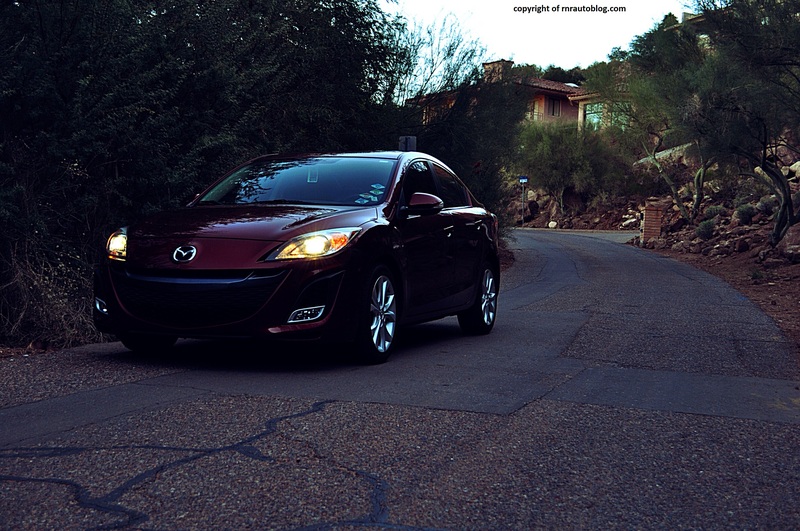 I can’t help but grin as I drive the little Mazda on twisty roads. Eagerness is one of this car’s handling attributes, as the steering never lets you down, and the car always tackles twists and corners with gusto. You can tell the suspension and the steering are both working together in harmony.The car shrugs off undulations and road imperfections. It is really hard to explain in words how genuinely good to drive this car is. The ride quality is a little firm, as you feel the road imperfections, but it is not intrusive. The S trim denotes the 2.5 liter four cylinder making 167 horsepower. Lesser versions make due with a 2.0 148 horspower four cylinder engine. With 167 horsepower, this car is fast for its class. 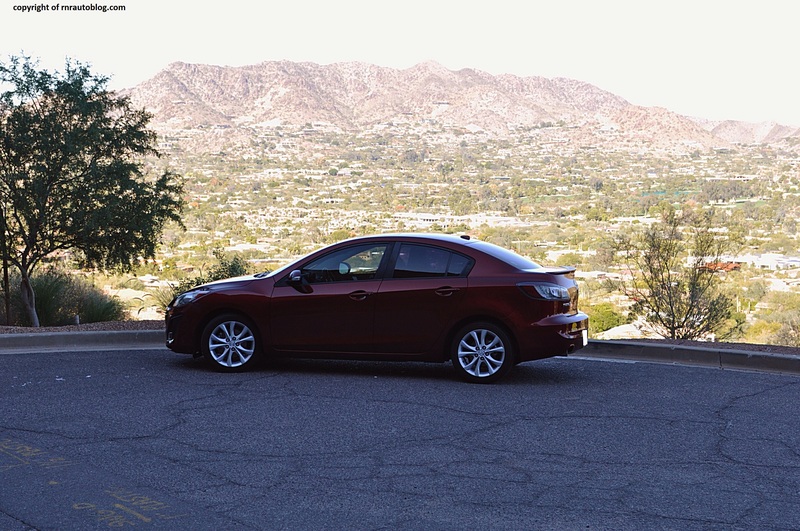 0-60 comes in 7-8 seconds depending on the transmission (Most compact cars such as the Cruze, Civic, Corolla do the deed in around 8-10 seconds). The engine is very strong, and there is always reserve power at any speed. Stabbing the gas pedal can elicit mild torque steer which is manageable. Flooring the engine elicits a manly snarl. I would not be surprised if people floored their Mazda3s with this engine often just to hear the engine. This engine is performance minded, which can take a toll on fuel economy. 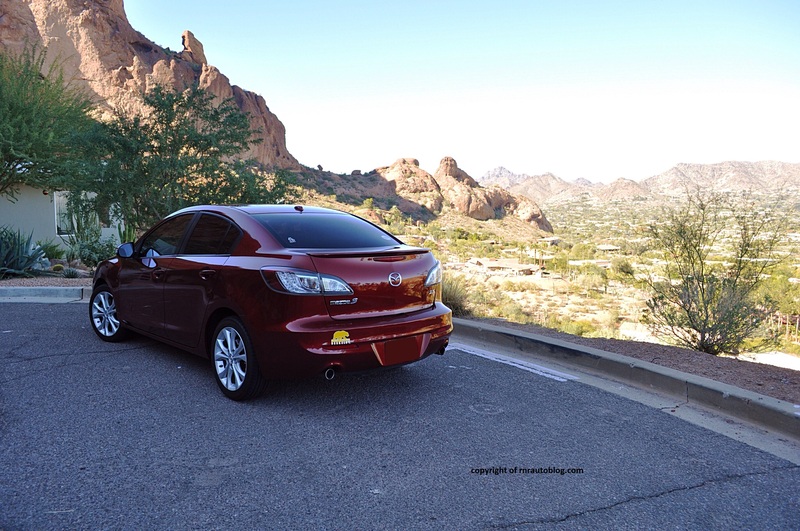 If you are looking for a fuel efficient compact sedan, you are better off with a Hyundai Elantra or a Honda Civic. The five speed automatic transmission is good enough. But, the only thing that would complete this package is a manual transmission. This car prides itself on driving enjoyment and driver involvement, which requires a manual transmission. Yes, the automatic has a manumatic function, but it is not the same. My advice, get the manual, especially if you are going to get this engine. Noise levels are decent. Engine wise, it is a bit noisy, but not noisy enough to tire me of its harmonic tune. Fuel economy is not the only issue either. Space, in the rear especially is confining. Three adults in the back would have trouble getting comfortable in the back. As for the front, it is easy to get comfortable. The seats have decent support. The controls are big and tactile, and easy to use. If I had to nitpick, it would be the navigation system. Other than being absurdly small, performing functions on it becomes a tedious task. The controls for the navigation system are exactly six buttons on the steering wheel. Entering destination becomes a chore. You have to toggle up and down in order to find the letter you want, and click Enter to select that button. 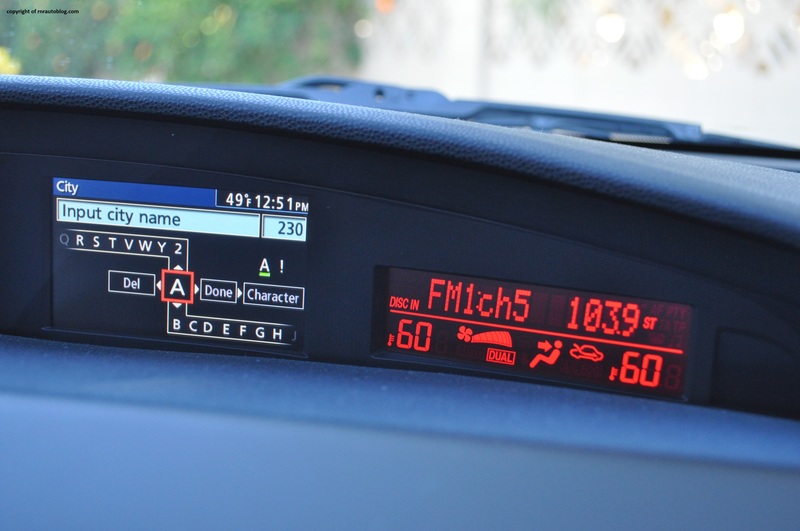 Fortunately, the radio and AC are separate from the navigation. Visibility could be easier given the high rear deck. Fit and finish is spot on. Unfortunately, the interior ambiance feels a bit cheap due to use of hard plastics. If you are a sensible individual and see cars as a tool for getting from point A to point B, this car is not for you. It is not for the faint hearted either, because the firm ride and sporty-biased performance can become tiring. If you like driving, this car is for you. To me, this car is like a front wheel drive BMW. It is impressive how much this car makes you smile as you are driving. 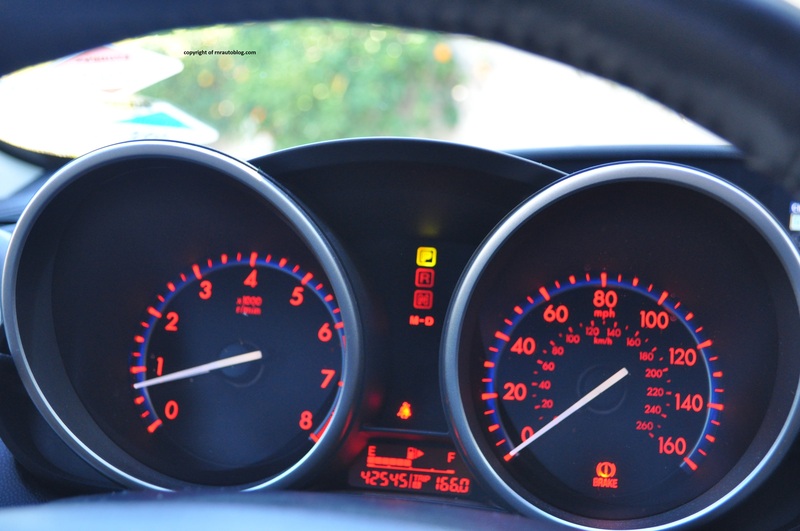 Sure, fuel economy is nothing special, and it is small inside. But none of that matters when you get behind the wheel. Or when the words Zoom-Zoom appear in the navigation screen when you fire the engine up. Sadly, all the compact sedans are moving towards conformity in terms of comfort and fuel economy. Theoretically, it sounds great. Except that they are becoming the same car. 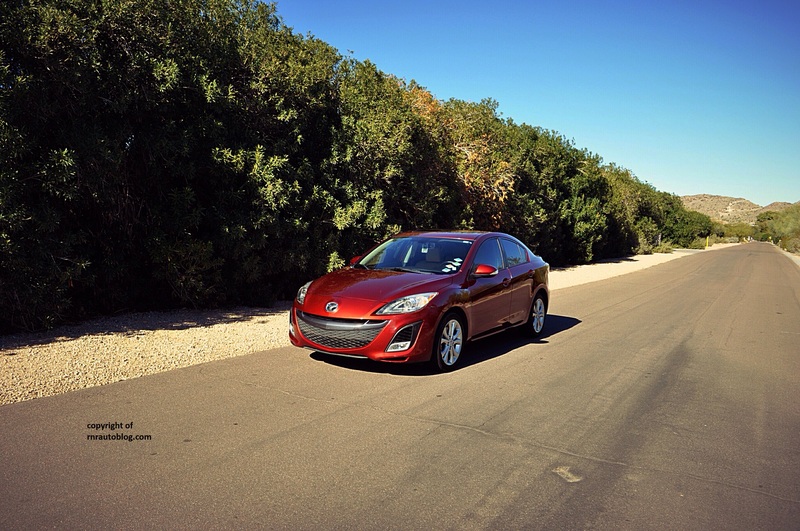 There is no compact car that stands out (except for the Ford Focus and Mazda3 in my opinion). The compact sedan was supposed to be the fun and small compact sedan that you bought before stepping up to the grown up family sedan. Not anymore. The latest Corolla is as huge as the 1996-2001 Camry and drives exactly like a Camry. The manual transmission is disappearing also. For example, the 2014 Elantra sedan has a new ‘Sport’ trim. Sport suggests sportiness which suggests a manual transmission. Wrong. There is no manual for the Sport trim, only for the basic GLS. 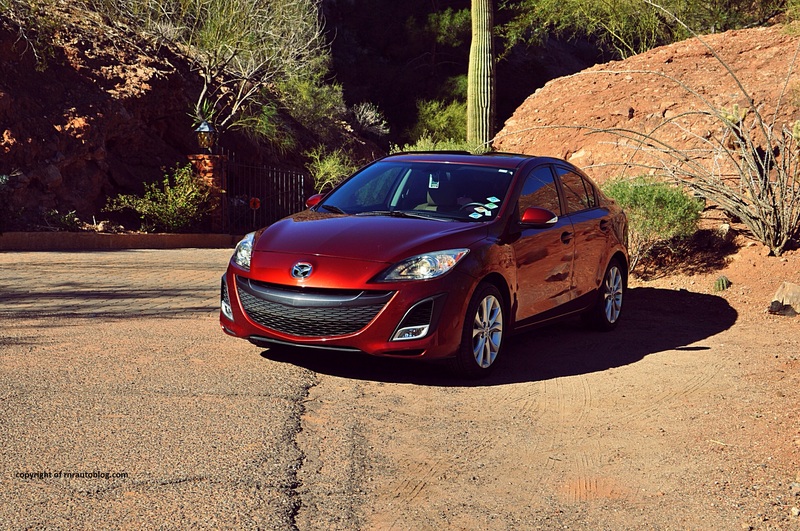 My point being, the Mazda3 has stayed true to itself. Sporty, good looking, and affordable. 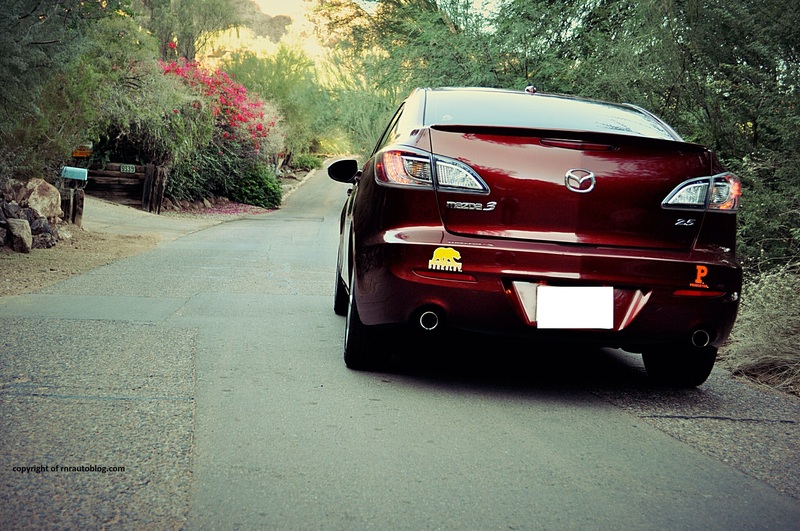 These are the qualities that make the Mazda3 so good. Mazda refined the key attributes of this car while improving on the other aspects, and the result is a fine driving machine. Mazda is right. If a car is not worth building, it is not worth driving. Amen! P.S Congrats to the owner of this car for getting into Princeton! 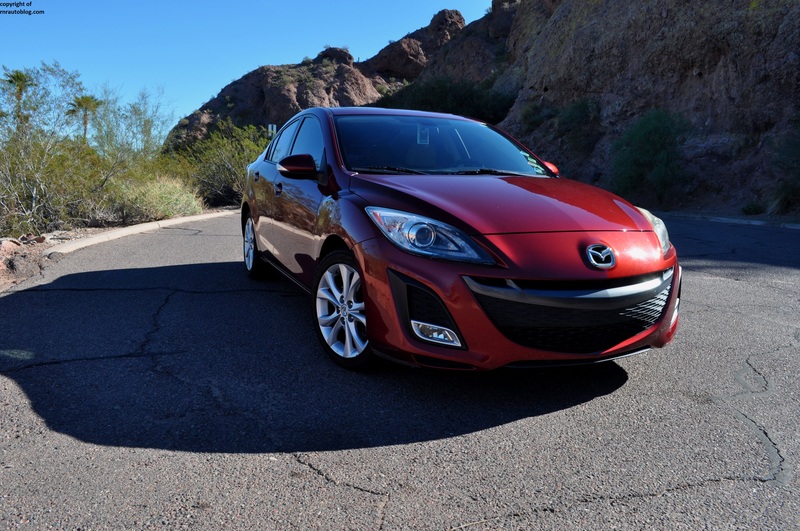 Nice review, if you get the chance, try out the new 2014 Mazda3… it’s even better than this 2nd gen.
Hopefully I will. I bet it is! Thanks for the comment. Yeap, It absolutely worked RNR. BTW nice post! Thank you so much for your help! and thanks! Try adding link to the post itself on the first photo, so it will navigate from your homepage straight to the post not to the https://rnrautoblog.files.wordpress.com/2013/12/tackling-the-woods.jpg link. Or try adding “Featured Image” from the post editor on the right bottom section. No, I’m totally new to this blogging scene! Any help would be appreciated!